shall be eligible to appear for the entrance test. The candidate has to register his/her candidature for appearing B.Ed. 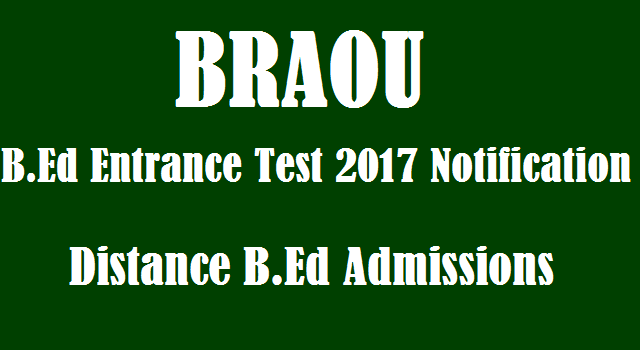 Entrance Test in University website www.braouonline.in and payment of registration fee through any AP ONLINE/TS ONLINE FRANCHISE CENTRE across the state on or before 30-01-2017.